Gov. Chris Christie of New Jersey has begun to attempt to clean up the mess left behind after it was revealed that key members of his staff had plotted to jam traffic by closing lanes on the George Washington Bridge at Fort Lee, N.J., as revenge against the city’s Democratic mayor, the Associated Press reports. "I am embarrassed and humiliated by the conduct of some of the people on my team," Christie said at a Thursday press conference that lasted well over an hour, during which he tackled a barrage of questions about email and text messages made public on Wednesday, uncovering the apparently deliberate closing of the lanes for political reasons. Deputy Chief of Staff Bridget Anne Kelly was fired almost immediately in the fallout "because she lied to me," Christie explained, when he had previously asked his office whether anyone knew what was behind the lane closing. The traffic problems continued for four days in September, delaying emergency vehicles, school buses and commuters on the country’s busiest bridge. The messages suggested that Kelly had planned the gridlock as punishment because Fort Lee’s mayor had not endorsed Christie in his re-election bid. Christie has also severed ties with former campaign manager Bill Stepien, whom many thought might end up managing his presidential campaign. The governor asked Stepien to withdraw a bid to become New Jersey’s GOP chairman, the AP reports, saying that he was put off by the "callous indifference" that Stepien displayed in the messages. "Time for some traffic problems in Fort Lee," Kelly wrote in an email on Aug. 13, 2013, to Port Authority official David Wildstein, an ally of Christie’s. "Got it," Wildstein replied, before closing two of the three lanes connecting Fort Lee to the bridge a few weeks later. According to the AP, the chief federal prosecutor for New Jersey, U.S. Attorney Paul Fishman, and the Legislature are looking into the scandal to figure out if any crime was committed in using public resources for political ends. 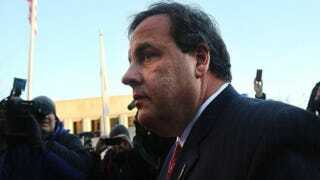 Christie also traveled to Fort Lee on Thursday to personally apologize to Mayor Mark Sokolich. Christie called the meeting "productive," and Sokolich told a local newspaper that the governor had taken a "big step" to regain Fort Lee’s trust, the AP notes. Regardless of how smoothly the apologies are going, Christie is still facing an uphill battle, particularly if he intends to run for president in 2016. Six state residents have already filed a lawsuit against him, the state, the Port Authority and other entities. Christie repeatedly took responsibility for the fiasco while slamming his staff for doing something "stupid" and not telling him the truth, the AP reported. He claimed to be "blindsided" by the exchanged messages and felt "heartbroken" and "betrayed" by his close circle of advisers. "I had no knowledge or involvement in this issue, in its planning or execution," Christie said. "And I am stunned by the abject stupidity that was shown here." The news site reports that Kelly has yet to speak out about the incident, and Christie himself has decided not to speak with her or even hear her side, not wanting to be accused of tampering with a potential witness.